Life is busy these days. There’s always somewhere to be, something going on, another meeting. I can hardly catch up to myself before it’s time to leave again. While I do wish that I had a few moments more sometimes, it’s mostly a lot of fun. On the list of things that I always need to make this breakneck pace work is snacks, water, and my Builford backpack. That might sound kind of silly, but it’s no joke. The thing is, I’m a professional dancer, and on any given day, I need a lot of stuff with me. From clothes for rehearsal, books for the subway rides, and often my laptop for music or other meetings, my Builford Explorer Rucksack is one of my most important possessions. The Builford Explorer Rucksack is big, for a start, and can actually fit all this mess inside. There’s a protected pocket for my laptop and a separate sleeve for books and notebooks, plus scoop pockets for my water bottle and cosmetics. I can tuck snacks in the side pockets and keep my frequently used and valuable items in the front pocket, so I can get them when I need them. Not only do I run around a lot during the day (and when you consider rehearsal as well, I do mean that literally), but I often do my errands on the way home. Amazingly, even with everything inside, there’s often still room for extra. On the weekends, I use my Builford backpack to do the groceries — I have yet to buy enough to need a separate bag. 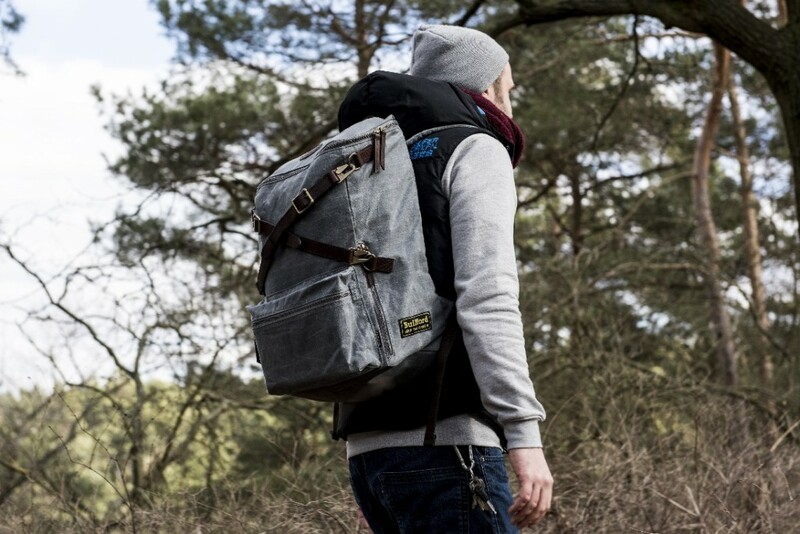 One of the things I like so much about the Builford Explorer Rucksack is that despite being packed to the brim, it’s not actually too hard to carry. The padded shoulder straps make a world of difference. 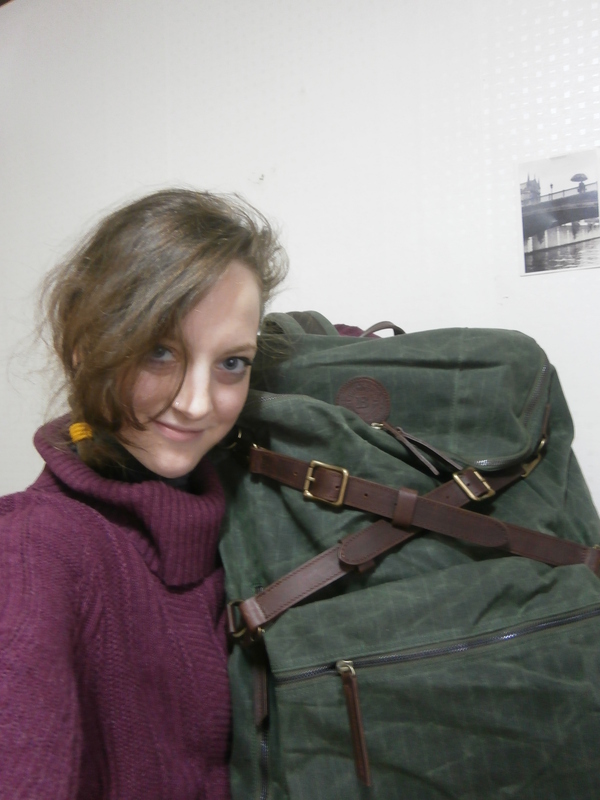 Because the bag was originally built for trekking and outdoor exploration, it’s designed to distribute the weight across the back — at least, I think it must, because I never have a problem carrying it! Because it’s a Builford bag, it’s even waterproof — I knew that in theory because it’s made of waxed canvas, but was pleased to see it in action the other day when I realized my umbrella doesn’t actually cover it entirely and water was dripping down it for a good ten minute walk. Needless to say, all my stuff was safe. 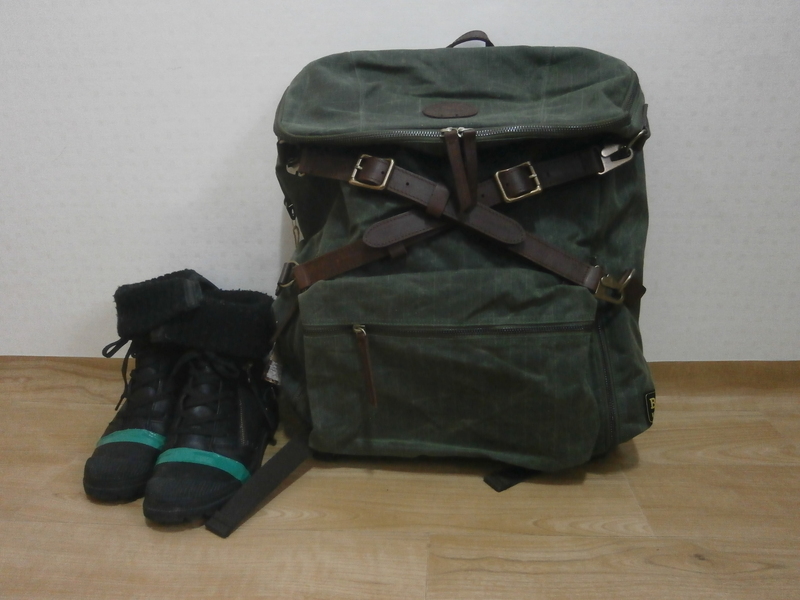 I work hard, and so does my Builford Explorer Rucksack. Get yours at www.builford.com! 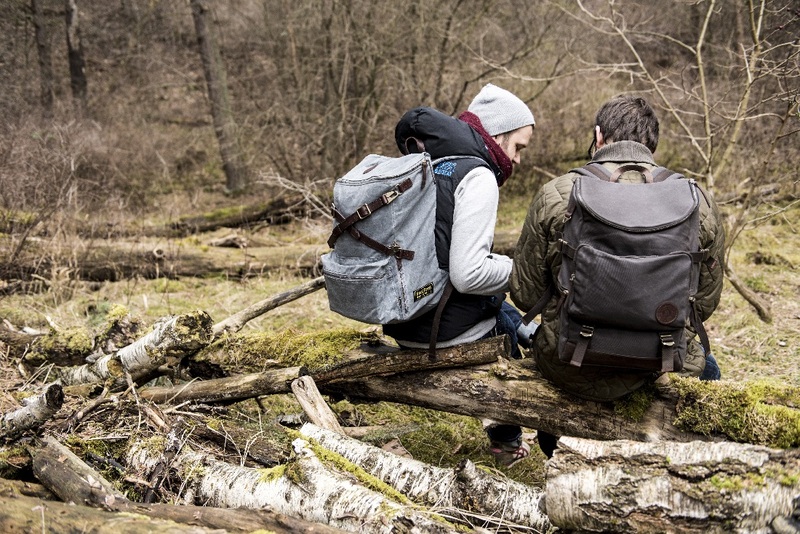 Share the post "Builford Backpacks: Working as Hard as You Do"
Posted in Blog and tagged big backpacks, big backpacks for college, builford, builford explorer rucksack, explorer rucksack, school backpacks, trekking backpacks, waxed canvas backpacks, waxed canvas bags. Bookmark the permalink.